A new report from Digitimes, citing the Chinese-language outlet Economic Daily News (EDN), suggests that HTC has increased its shipping estimates for the first quarter of 2011, upping its forecast to 9.5 million handsets, an increase of around 500,000 handsets from earlier predictions. 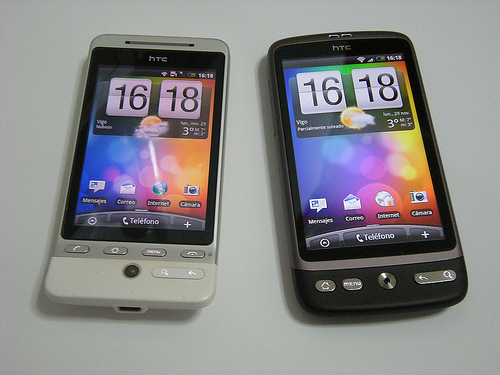 The report builds upon suggestions that HTC has already informed its suppliers that they will need to prepare to supply parts and components for as many as 60 million handsets in 2011, as the company prepares to introduce new Android and Windows Phone 7 smartphones over the coming year. HTC will soon deliver its fourth quarter results, reporting on whether it met its target of 8.5 million smartphone sales in the final quarter of 2010. If the mobile giant’s shipments surpasses that figure, its revenues would have risen 20% from the previous quarter to US$2.93-3 billion, providing the taiwanese giant with almost a 10% market share. Digitimes notes that HTC will deliver its 2010 report and fourth-quarter results on January 21, something tells us the company will have exceeded its estimates, it will need to if it wants to compete with Nokia and Apple. Read next: Arabnet: Will 2011 Top its 2010 Debut?